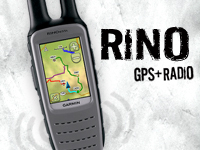 Rugged, water resistant and ready for you next adventure, Rino 610 puts a 1 W FRS/GMRS radio and a 2.6-inch glove-friendly color touchscreen GPS right in the palm of your hands. 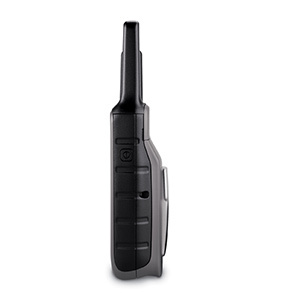 With its high-sensitivity GPS receiver and quad helix antenna, Rino 610 quickly finds your position and maintains it – even in heavy cover. 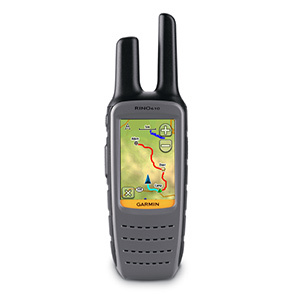 The device comes with a worldwide basemap with shaded relief, so you can navigate anywhere with ease. 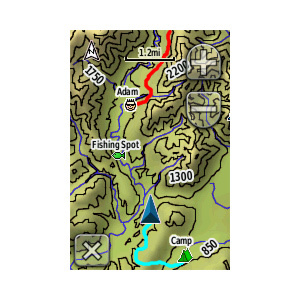 Adding more maps is easy with Garmin's wide array of detailed topographic, marine and road maps. 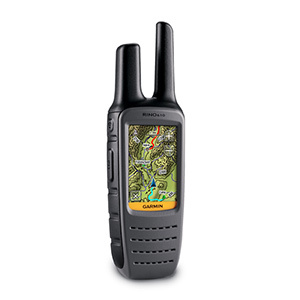 Rino 610 lets you load TOPO U.S. 24K maps and hit the trail or BirdsEye Satellite Imagery (subscription required), which lets you download satellite images to your device and integrate them with your maps. 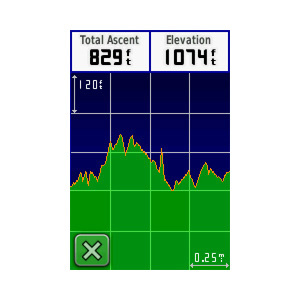 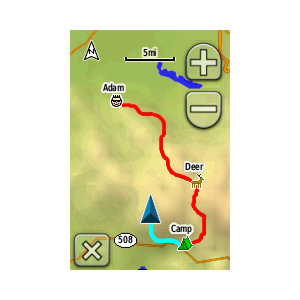 In addition, Rino 610 is compatible with Custom Maps, free software that transforms paper and electronic maps into downloadable maps for your device. 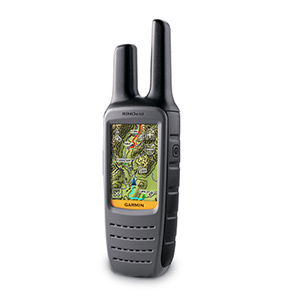 Rino 610’s unique position reporting capability lets you send your exact location to other Rino users so they can see it on their map page. 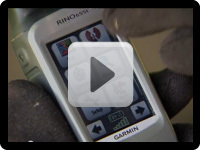 You can also send unit-to-unit text messages to other Rino users in your area – it’s ideal for loud or windy conditions, or just when you don’t want to disturb the wildlife. 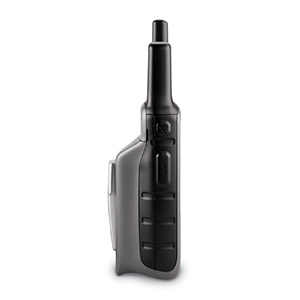 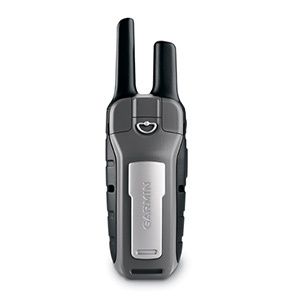 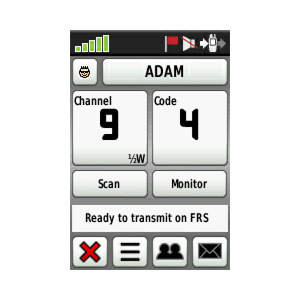 Plus, improved audio performance means it’s easy to communicate with any other conventional FRS/GMRS radio in the area. 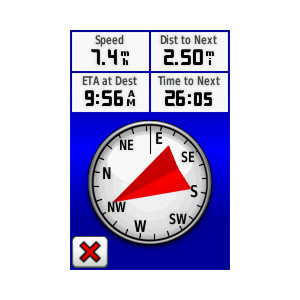 The device can be useful in an emergency, or just a handy way to keep tabs on your hunting party, hiking partner, family or friends.